For the past eight and a half years, the people of Kingsland have faithfully served our community through our Saturday morning and weekday service initiatives. With an average of one-hundred annual initiatives (including Caring for Katy), our missions ministry has mobilized somewhere in the neighborhood of more than twenty-thousand volunteers since July 2005. In all those years we have only had to cancel less than five service initiatives due to bad weather. This past week was cold by Katy standards. But, the cold did not keep The Race Adult Bible Fellowship from their commitment to serve at the YMCA Day Camp on Saturday morning. 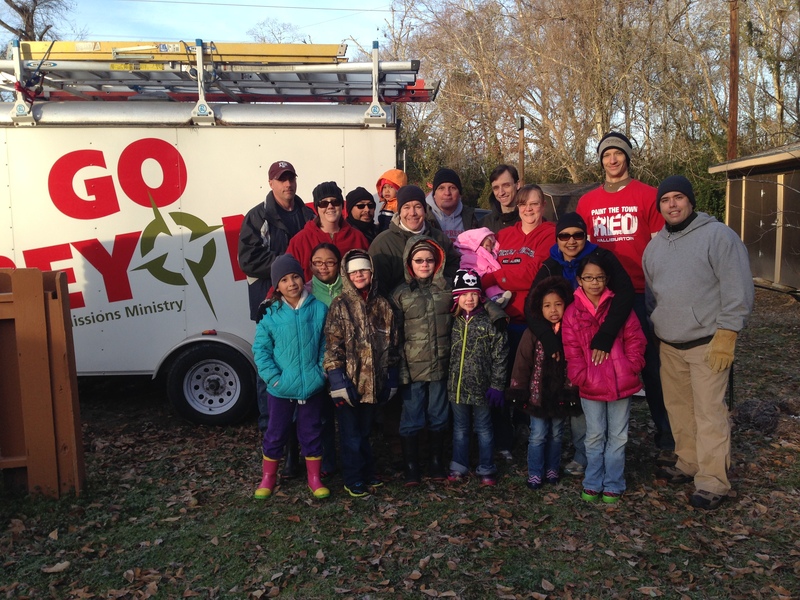 Parents and kids showed up bundled in their jackets and eager to serve. These cold weather warriors worked for almost five-hours without complaint. From building a handicap access ramp to constructing shelving in a storage building, this hard-working team got the job done. And they did it all with a joyful spirit. A couple of weeks ago, I received a text message from my friend Mike Malkemes, founding director of Generation One, a ministry to at-risk kids in Houston’s Third Ward. 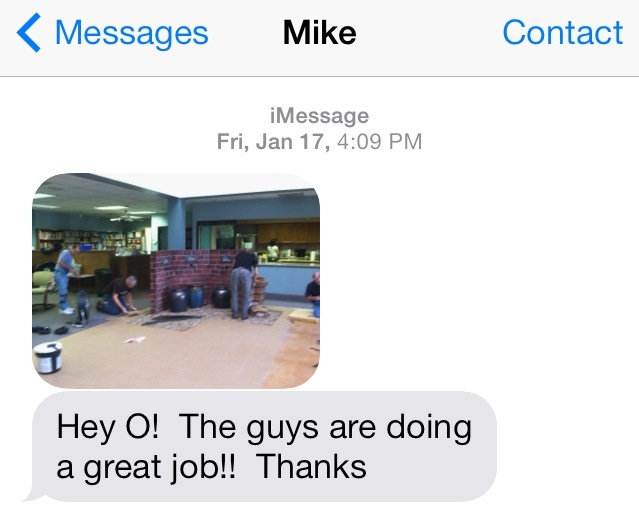 Mike included a photo of some of Kingsland’s semi-retired and retired guys doing some flooring at the Generation One building. We love what Mike and his team are doing to reach kids who are facing some tough obstacles. I’m grateful for our older men who understand that there is no retirement when it comes to serving God. These guys are a blessing! Last Sunday, a friend who had read my blog post on Elmo Johnson, pastor of Rose of Sharon Baptist Church in Houston’s Fourth Ward, approached me on Sunday morning. She shared that God had touched her heart to serve the elderly in the Fourth Ward. I arranged for her to connect with Pastor Elmo and plans are now in place for her to visit the elderly in the Kimball Retirement Home across the street from Elmo’s church. She will play the piano for the folks and just love on them. How cool is that! I am thankful that serving our community has become an integral part of our DNA at Kingsland. Our service — whether by one of our small groups, a team of men, or a member who cares — continues to make a difference in our community. But it also continues to make a difference in the hearts of those who serve. A hammer and paint brush, flooring material, and a piano are tools in God’s hand, some of the vehicles that He uses to change hearts. I am thankful for our cold weather warriors and all who unselfishly give of themselves to love God, love people, and equip the generations.